Foot care requires more attention than just keeping the nails trimmed or colored, it requires special assistance to each and every one of its parts. Every day, a person walks between six and ten thousand steps. Our feet are our support, and they need a solid foundation and good care in order to function perfectly. Depending on the activity that is performed, age, and other factors, foot care should be personalized. Fortunately, there are experts in the prevention and treatment of the feet: podiatrists. 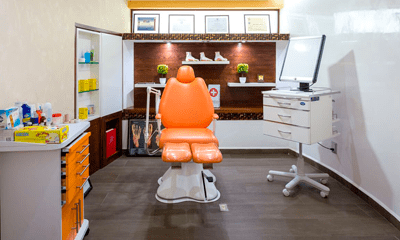 Located at Hospital CMQ City Center and inside our Physician Building at Hospital CMQ Riviera Nayarit, Foot Clinic by Paty Villanueva is the right place to keep your feet in the best shape. 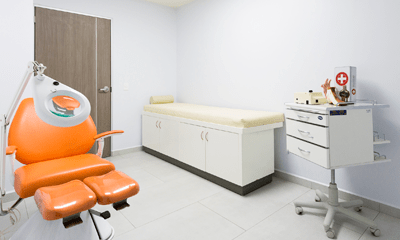 It is comprised of a team of specialists led by podiatrist Paty Villanueva, expert in foot care, who has over 10 years of experience working in Puerto Vallarta and Bucerias. Immediate solutions are provided, as well as referrals to other specialists within our physician network. Foot Clinic by Paty Villanueva provides primary care for patients with diabetes. It evaluates their state, takes their pulse, and then performs a clinical pedicure. An assessment is taken from the heel area to the toes, estimating any problems or diseases that could occur in either foot. The fully-trained specialists provide a fine and personalized service to each diabetic patient. Podiatry intervention in seniors often focuses on responding to certain types of problems or ailments. At this stage, it is of utmost importance to provide comprehensive care to their feet. At Foot Clinic, seniors get a special pedicure using more delicate methods. In this way, their skin or nails will not be damaged. The right process must include washing, drying, hydrating the feet, placing stockings, and special footwear. In certain situations, the patient can confuse a nail injury with a fungus. When arriving at Foot Clinic by Paty Villanueva, the patient will be subjected to a specific assessment. This will help the staff to know the diagnosis and prescribe adequate treatment. Podiatry clinics are for everyone. It is not necessary to suffer from an illness or ailment in order to properly care for our feet. People should let go of their shyness and attend a podiatry clinic, even if they do not feel discomfort. Rather, this is a preventive measure, where one can acquire more knowledge and receive better care.